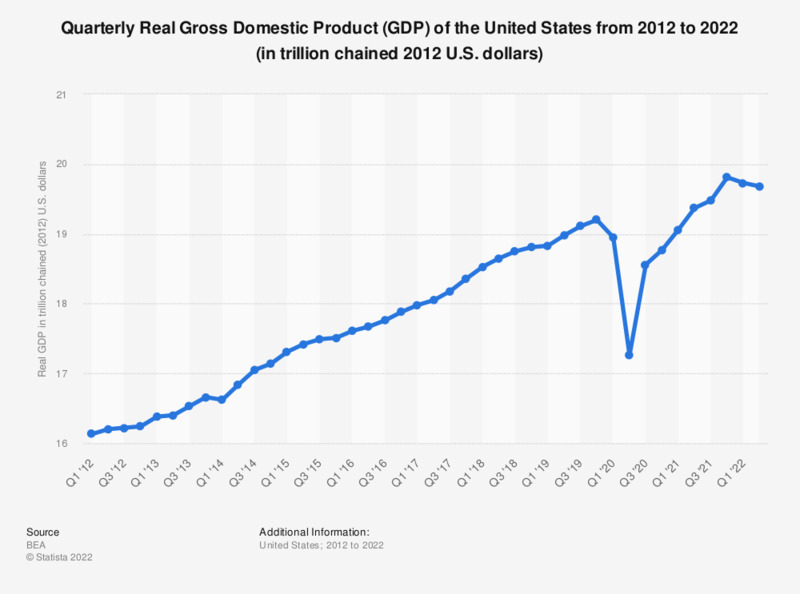 This statistic shows the quarterly Real Gross Domestic Product (GDP) of the United States from 2011 to 2018. In the fourth quarter of 2018, Real GDP of the U.S. amounted to 18.77 trillion chained (2012) U.S. dollars. Data is seasonally adjusted at annual rates.